Volunteers are needed for the 2016 State Fall Classic! Athletes will be competing in aquatics, horseshoes, and softball at Pelican Park and the Robicheaux Center in Carencro, LA on October 12-16. SFC will be held October 14-16, 2016 at Pelican Park and the Robicheaux Center in Carencro, LA. This is an event for all Areas. Male and female athletes from across the state will compete in Aquatics, Horseshoes, and Softball. Sign up today to play, coach, or volunteer for this event. 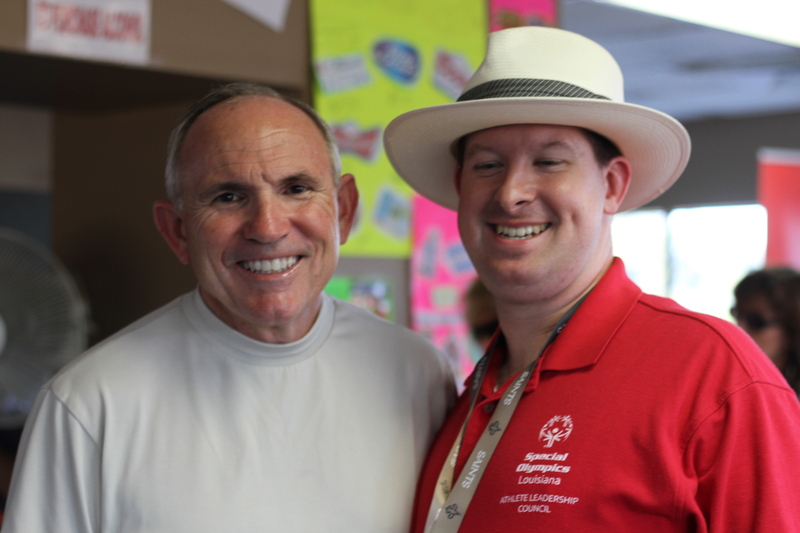 Q: What was life like before Special Olympics? A: I didn’t play sports. I watched videos and read. Q: What is a time you overcame something? A: I overcame pain in my legs while running. Now I can run track. Q: What is your greatest accomplishments? A: Becoming a senior in high school, winning medals, and making new friends! Q: What do you think are your secrets to success? A: My secrets to success are exercising every day, staying happy, and praying. The below paragraph is a guest post from Athlete Channing Ewing from our Northwest Area about this past weekends State Fall Classic. To view the pictures from the fun filled weekend click here. Thank you for sharing the highlights of your weekend with us, Channing! Have you registered to volunteer for State Fall Classic yet? If so, we thank you for your volunteerism! If not, click here to register now! Volunteers play a integral role at all of our events. At State Fa ll Classic, volunteers serve in a number of roles, including umpiring softball games and keeping score for horseshoes. If you need service hours for school (or work) SFC is a great way to obtain them! We hope you will join us for State Fall Classic!